We are creating a better World. Our Acceptable Use Policy which sets out the permitted uses and prohibited uses of our site. When using our site, you must comply with our Acceptable Use Policy. www.terraseismic.com is a site operated by Terra Seismic Plc, Jersey ("We"). We are registered in Jersey under company number N 111250 and have our registered office at 4th Floor, St Pauls Gate, 22-24 New Street, St Helier, Jersey JE1 4TR. If you know or suspect that anyone other than you knows your user identification code or password, you must promptly notify us at info@terraseismic.com. If you wish to make any use of content on our site other than that set out above, please contact info@terraseismic.com, oe@terraseismic.com. Terra Seismic is UK registered trade marks of Terra Seismic PLC. 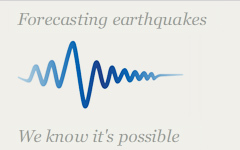 To contact us, please email info@terraseismic.com, oe@terraseismic.com.